I loved Simone's Perfect Chemistry series, so of course I am anxiously waiting to read this one, too! She writes some steamy tension scenes that are always fun to read. I haven't read anything by Simone Elkeles, but this book is definitely one I'm waiting on as well! I cannot wait to read Simone's new series! Love Elkeles's work! So excited to read this one. Thanks for sharing! I love your pick :D! 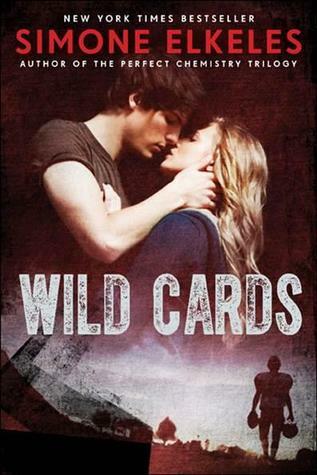 I love Simone Elkeles's writing, and I was excited when I heard about Wild Cards.Can't wait to get my hands on this baby. Great choice! I have been waiting for this book for SO long. I just received an arc of this that I can't wait to read.